Today was a ‘no driving’ day if not really a rest day. 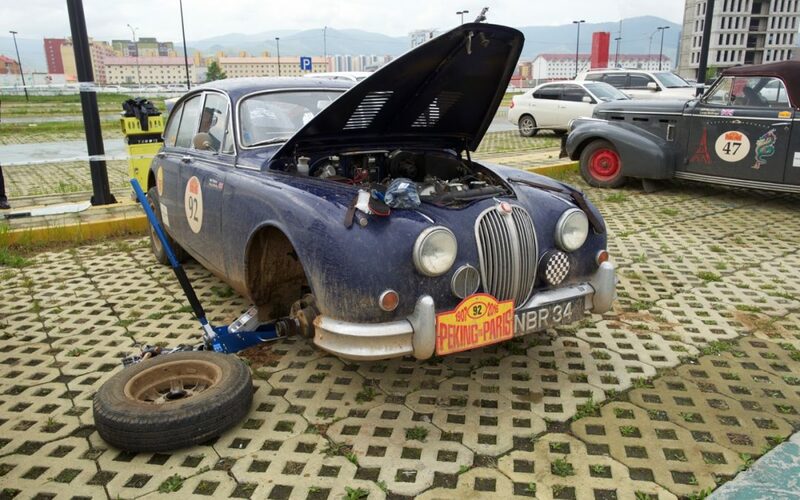 The car park is a hive of activity as everyone preps (fixes) the cars ahead of driving through Northern Mongolia. 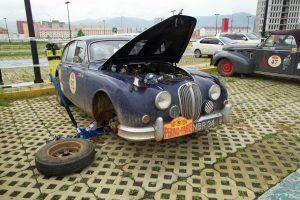 We had some issues with one of the front shocks but having taken the wheels off the suspension looks ok – a suggestion is that the oil in the shock absorber overheated, given the rough driving, and so was’ doing it’s job.. let’s hope. In looking under the car Matt also spotted that we had made a massive dent in the steel plate under the engine – so that very definitely did do it’s job – this is 1/4″ steel so that was quite a whack. The sweepers helped straighten it out but in doing it we noticed that the gearbox drain plug was loose and leaking fluid – if we hadn’t noticed that and lost the plug (and the fluid) that could have been fatal.